You need a website that will impress your customers and increase your profits. That is exactly what you will get from our team. You dream it, we will build it. Our team is capable of creating complex functionality and unique designs that will exceed your expectations. The Fantasy Web Design™ approach to custom website design starts with communication. A staff member dedicated to your project will work with you very closely to make sure your ideas are organized, prioritized and executed to meet your exact needs. 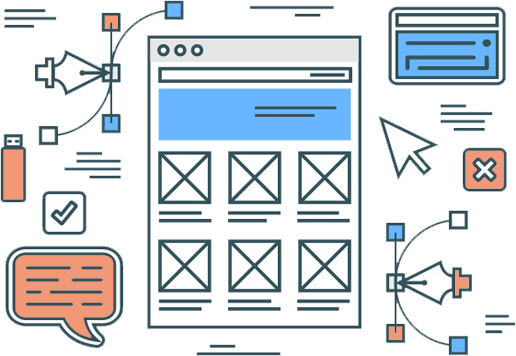 Other web design companies claim that they can build you a custom website, but many times they are not truly capable of delivering on that promise. At Fantasy Web Design™, we have the experience needed to develop complex code and logic. Whether you know exactly what you want for a design or you need help creating your vision, our experienced graphic designers will make sure your website looks amazing. Contact us today for your detailed custom website design proposal - absolutely free. The cost of a custom website starts at around $2,500 and goes up from there based on the requirements. Before we start your project we will agree on a price that covers the total cost. Most custom websites can be completed in 4 to 6 weeks. However more complicated projects may take longer. We will always do our best to complete your project on time. The content can be provided by you or we can have our talented writers do it for you. If you write the content, we may suggest edits to help with search engine optimization. Hosting plans range from $9.95 per month to $49.95 per month. When purchasing a custom website from us, you get 6 months of our Advanced Hosting absolutely free. Marketing plans range from $295 to $995 per month. We also offers custom marketing packages for larger projects that will be decided on a case by case basis depending on your needs. Yes, you own your website and domain 100%. If you ever decide to move your website to another company, we will provide you with all of the necessary files and creative works. Can I Make Content Changes? Yes, you will have full control of making any content changes as needed. You can also send us your content changes and we would be happy to update them for you. Will the Website Work on Mobile? Yes, all websites we build are designed to be responsive (mobile friendly). The importance of mobile friendly websites continues to grow and it is a must with any custom website. Maintenance is included for free for the fist 6 months as part of our Advanced Hosting package. After that time, it will depend on which hosting package you choose.